DELUXE RUNABOUT STAKE WAGON | American Plastic Toys Inc. This is how we roll! 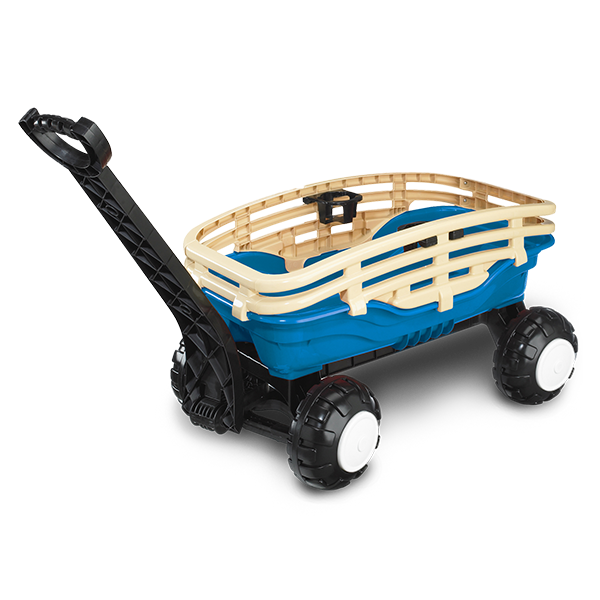 This sturdy, deluxe wagon has oversized rugged, knobby wheels and an extra-long handle. It includes removable stakes and two multi-position cup holders. It holds up to two children and features front wheel, no tip steering. The handle folds under the wagon for easy storage. Packed in a colorful, corrugated carton with a full color litho label.